The Kangchenjunga Conservation Area (KCA) lies within the Sacred Himalayan Landscape and is a key link in the chain of transboundary protected areas in the vast landscape, maintaining contiguity between Quomoloangma Nature Reserve in China and Kanchendzonga Biosphere Reserve in India. The KCA harbors important biological diversity from two Global 200 ecoregions of the Eastern Himalaya— the Eastern Himalayan Broadleaf and Conifer Forests and the Eastern Himalayan Alpine Meadows—and was declared “A Gift to the Earth” by the people of Nepal to the global community in April 1997. 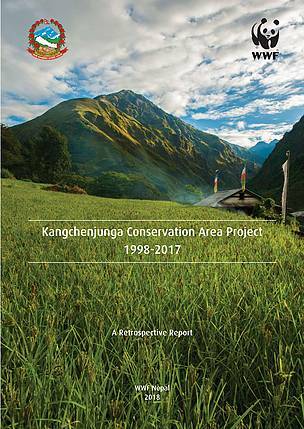 Kangchenjunga Conservation Area Project (KCAP) was launched as a joint initiative of Department of National Parks and Wildlife Conservation (DNPWC) and WWF Nepal in March 1998. After 9 years’ of work of the DNPWC and WWF, the Government of Nepal took the historic step of handing the KCA over to local communities, making it the ﬁrst protected area to be managed by local community stewards, in 22 September 2006.